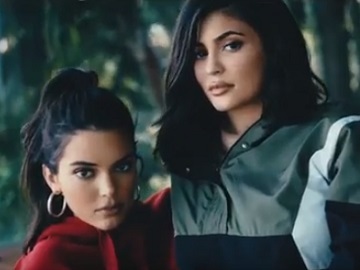 Deichmann has released a new commercial, promoting the Kendall + Kylie Exclusive Handbag Collection. The spot features sisters Kendall and Kylie Jenner rocking various outfits and some of the pieces included in the collection, such as a hip belt bag and a casual backpack. The new bag collection, which combines – according to the German shoe retailer – “the highlights of the trendiest trend themes for the autumn/winter season,” also includes casual backpacks in metallic look, elegant shoppers, glittering clutches and cool sports bags in a lacquer look that can be combined with any outfit. The collection is now available for purchase online and will hit shelves on November 2nd.